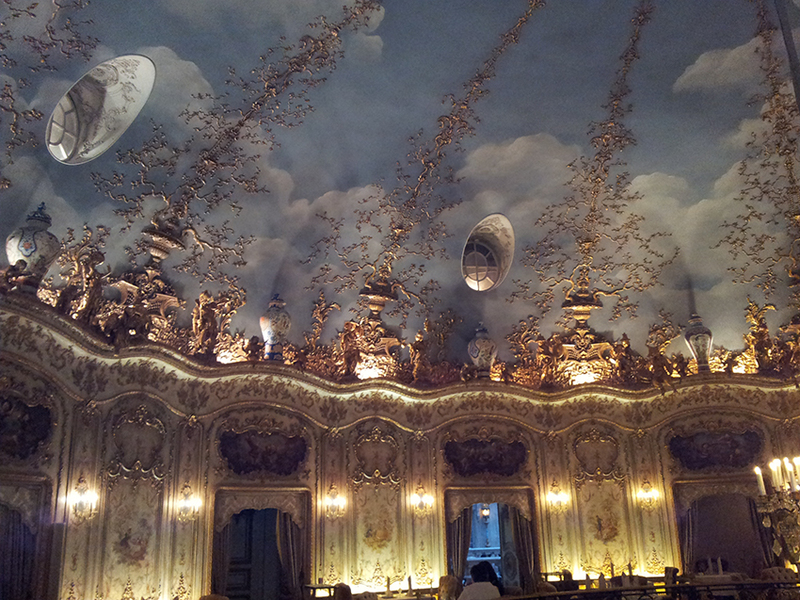 At the restaurant museum Turandot. 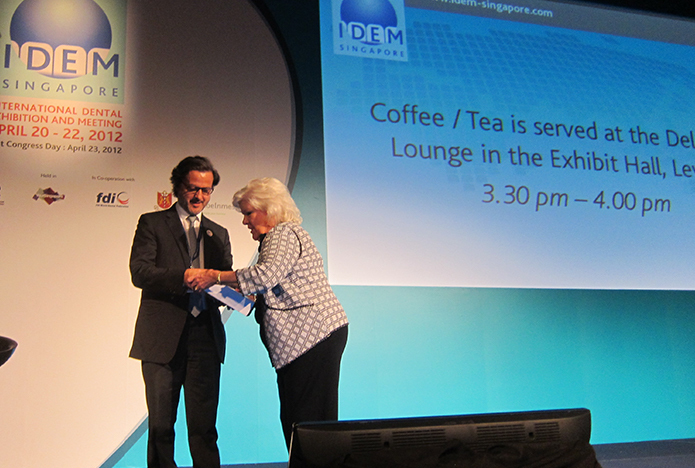 With Ludmila Maximovskaya, vice-president of Russia Dental Association. 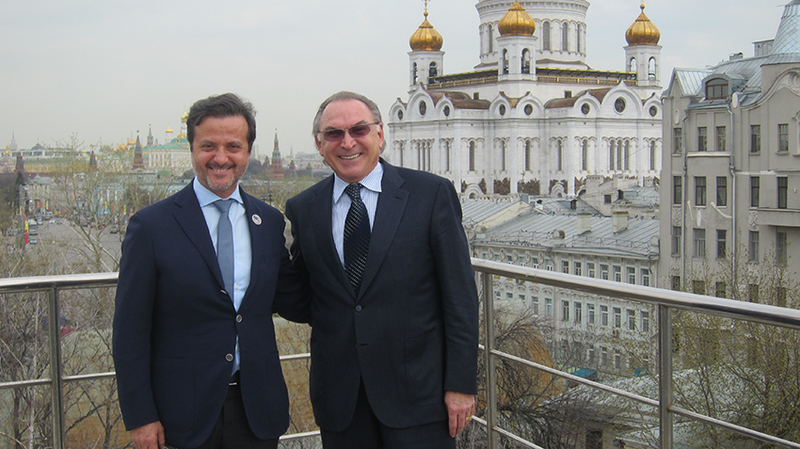 With Oleg O. Janushevich, rector of Moscow State University of Medicine and Dentistry, and with Kremlin in the back. 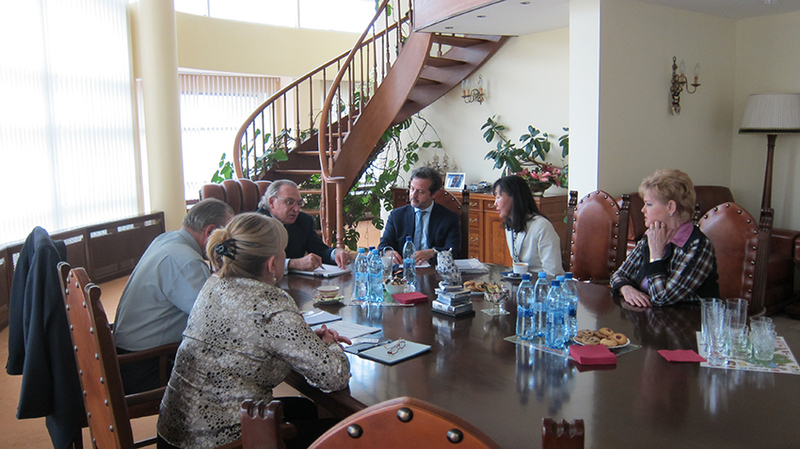 Meeting with Russian Dental Council. 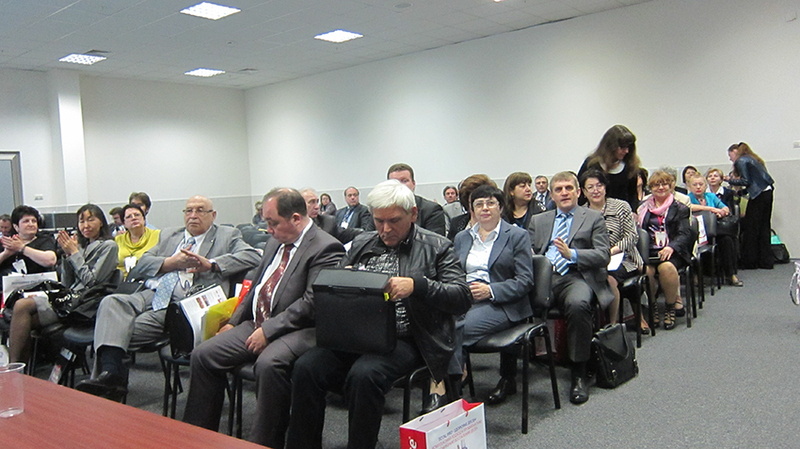 Opening of the meeting of Russian Dental Association Council. 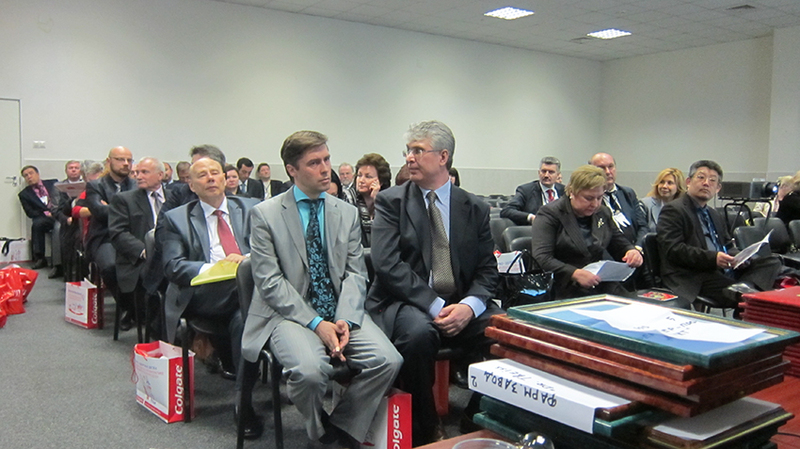 Representatives of the profession from all Russia. 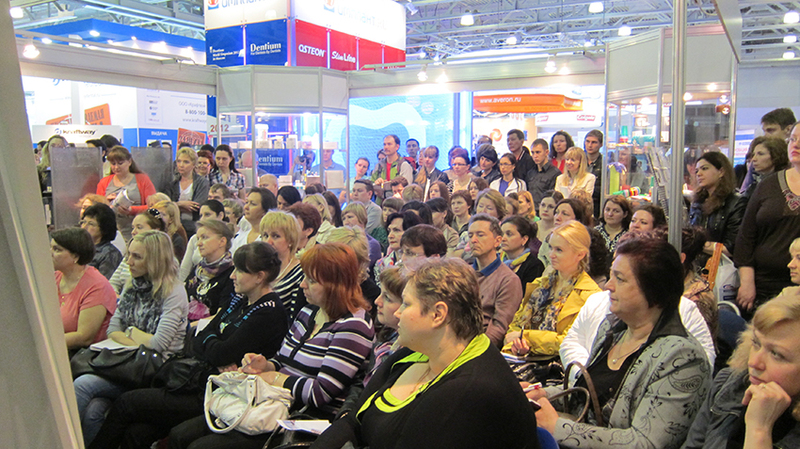 Opening of the scientific conference from Moscow DentalExpo. 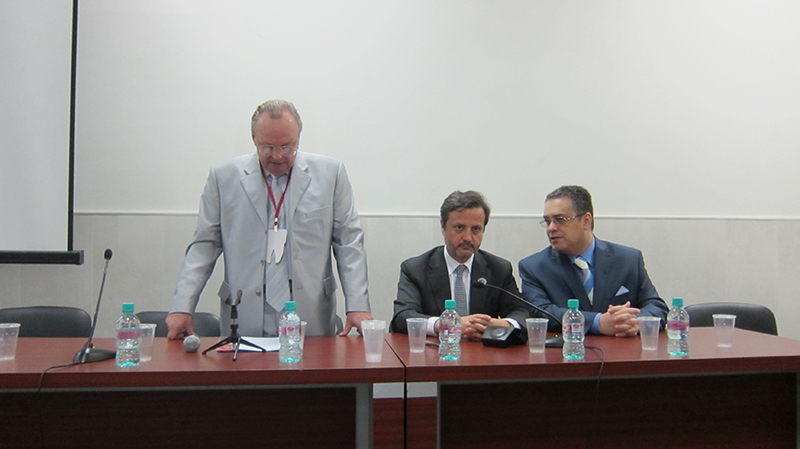 From left, Vladimir Vagner, president of Russian Dental Association. me, and António Cláudio, interpreter. 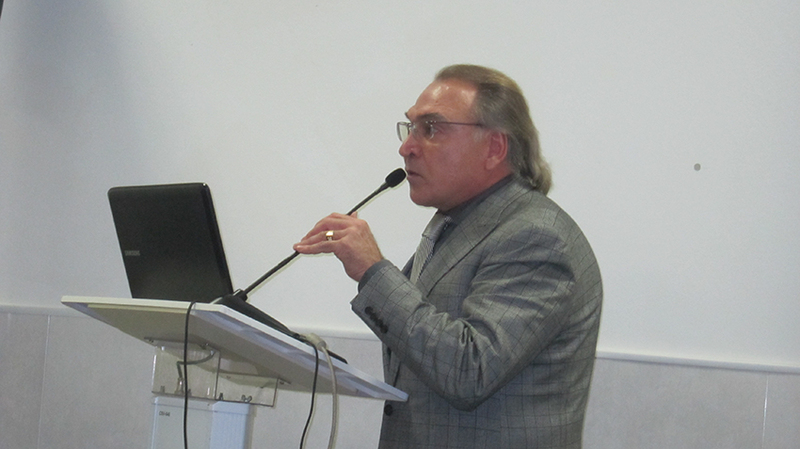 Iosif Bochjovskiy, president of Russian Dental Industry. Attendence photo. 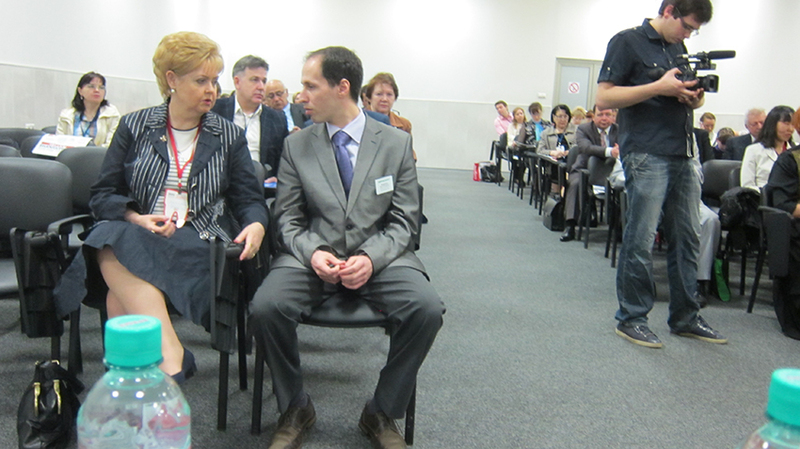 At the front, Ludmila Maximovskaya, vice-president of the Russian Dental Association, and Ilya Brodeskiy, DentalExpo managing director. Scientific conference at the exhibition. Official opening of Moscow DentalExpo, at Crocus-Expo. 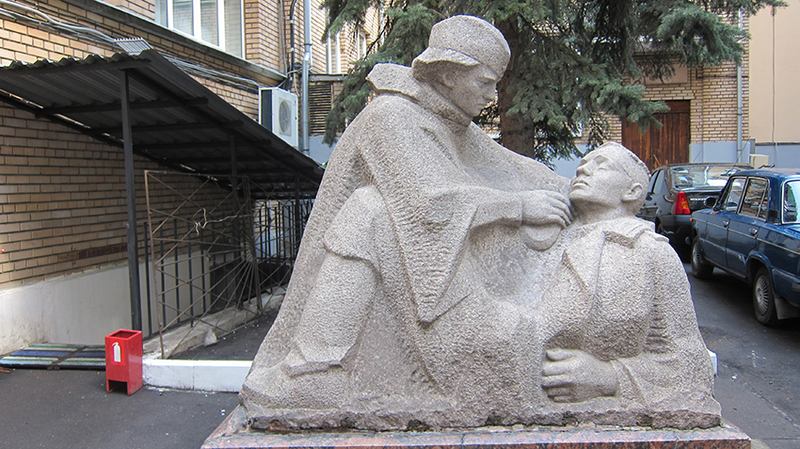 Monument at entrance of Moscow State University of Medicine and Dentistry. 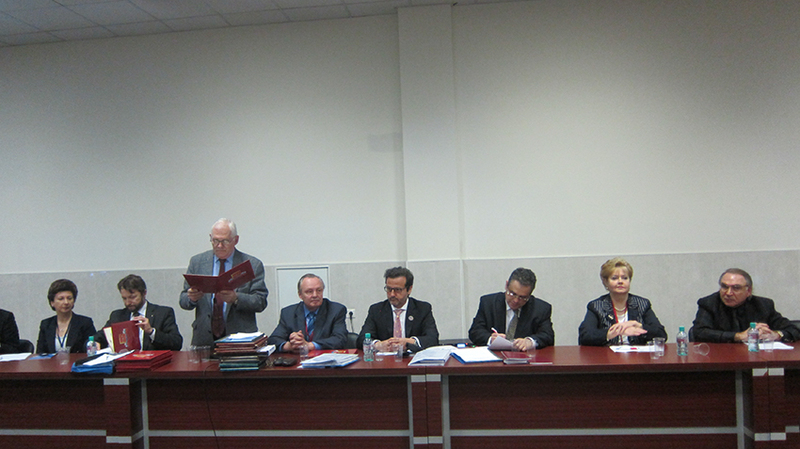 From left to right, António Cláudio, Elena Ivanova, professor from ERO/FDI Working Group Academic/Professional Relations, Solomon A. Rabinovich, professor and vice rector for academic activities and international affairs, Me and Alexandr V. Konarev, editor in chief of Stomatology International Dental Review. Visit to Center research Institute and Maxillofacial Surgery. With Elena Verbo, chief of the Department of Reconstructive Surgery and Microsurgery, and Ramaz Sh. Gvetadze, Deputy director for science and medical work. 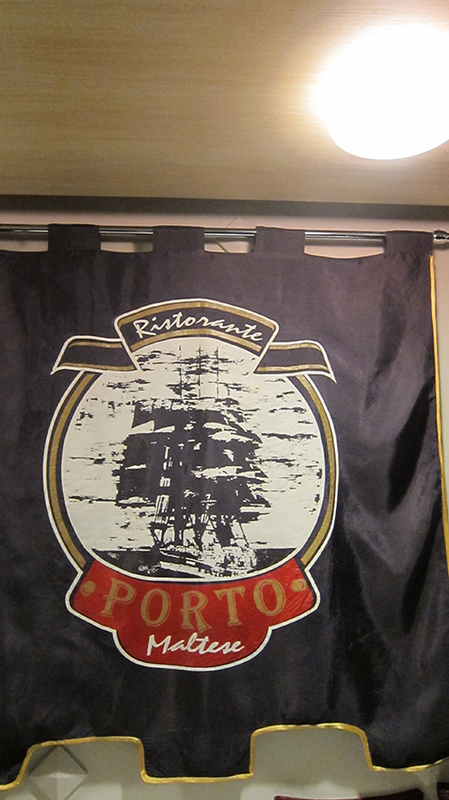 Porto, my city, is everywhere… Ristorante Porto Maltese in Moscow. 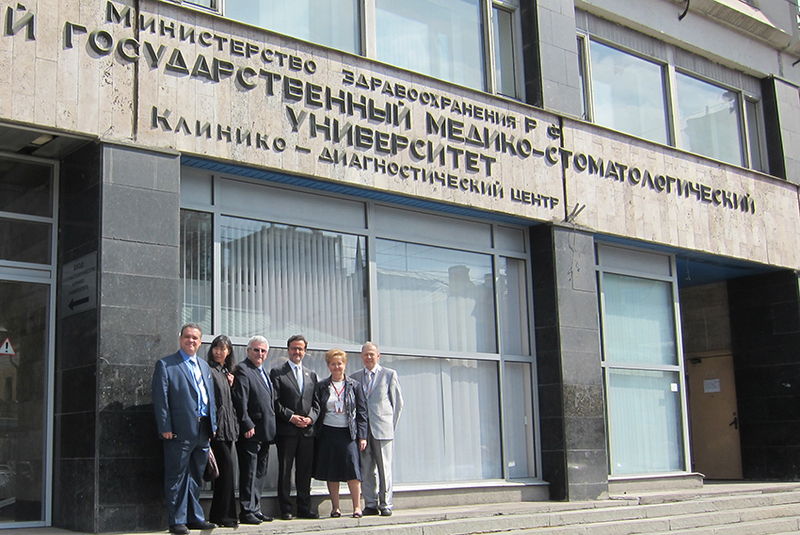 Meeting at Russia Dental Industry headoffice. At Russia Dental Industry headoffice. 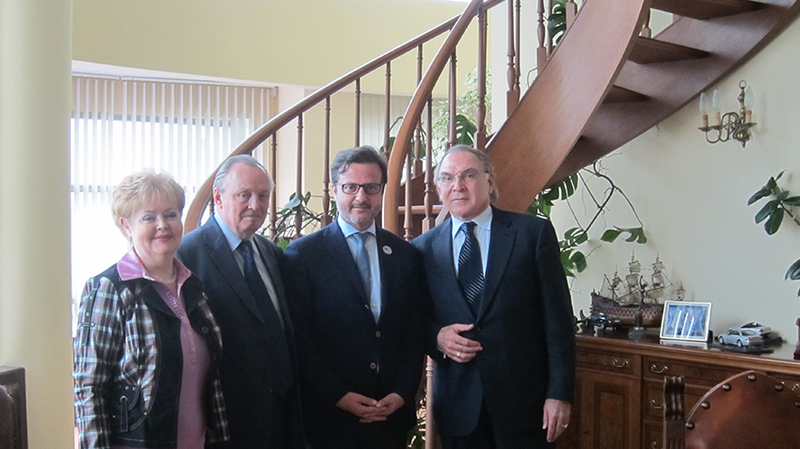 From left, Ludmila Maximovskaya, Vladimir Vagner, Me and Iosif Bochjovskiy, president of Russian Dental Industry. 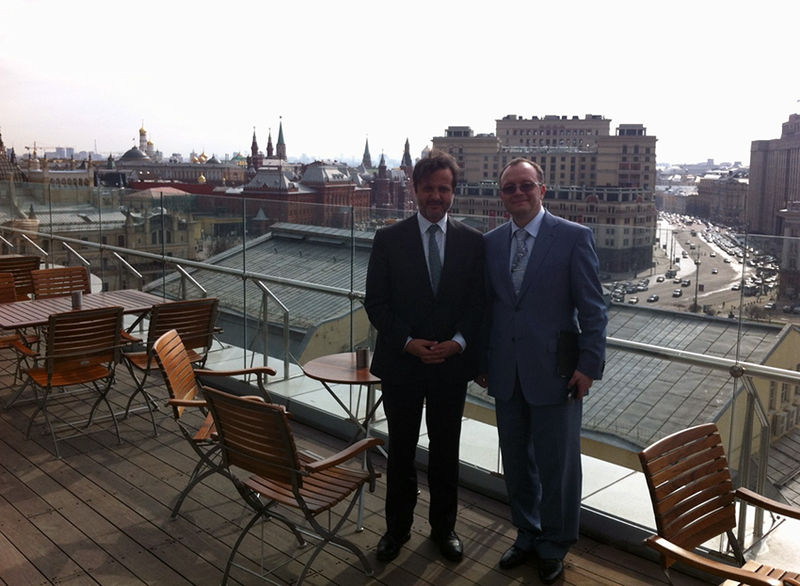 With Iosif Bochjovskiy, at the Russia Dental Industry headoffice. 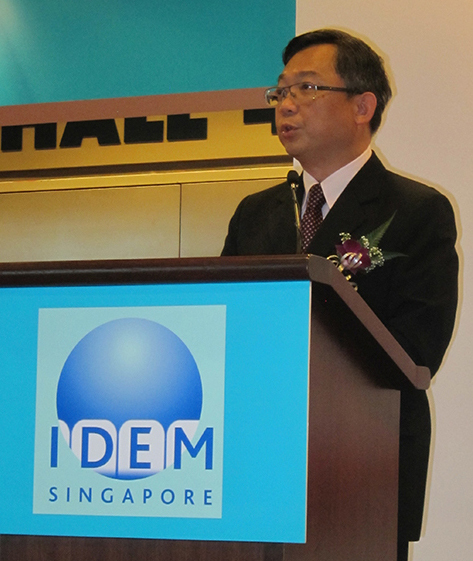 Singapore Ministry of Health, Gan Kim Yong, addressing at the opening. My speech is below. 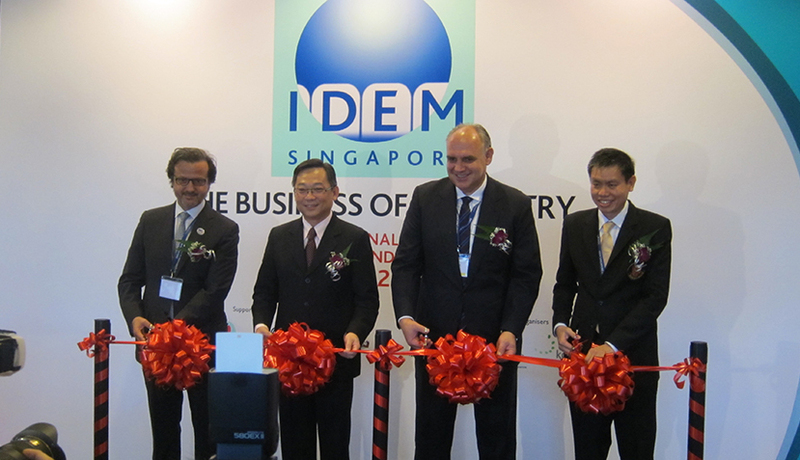 Opening ceremony - IDEM Singapore 2012 at Suntec. Me, Singapore Ministry of Health, Gan Kim Yong, Michael Dreyer, managing director, and Philip Goh, president of the Singapore Dental Association (SDA). 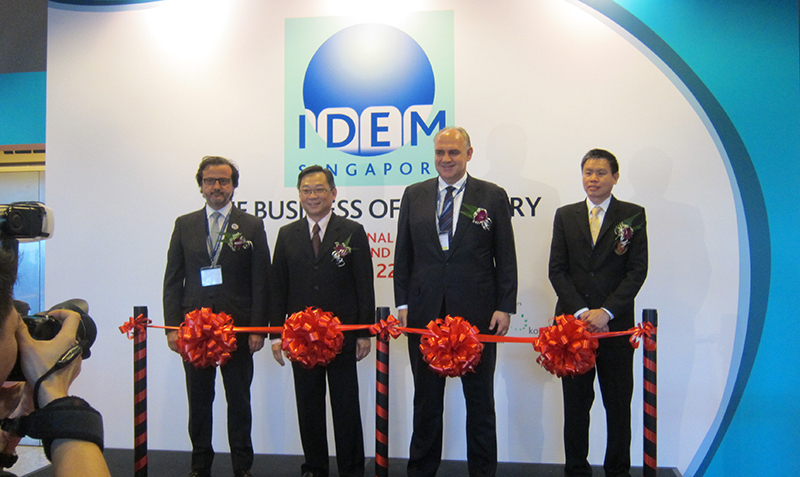 The IDEM/SDA exhibition, in co-operation with FDI World, was a huge success with 20% more attendants than the last edition. 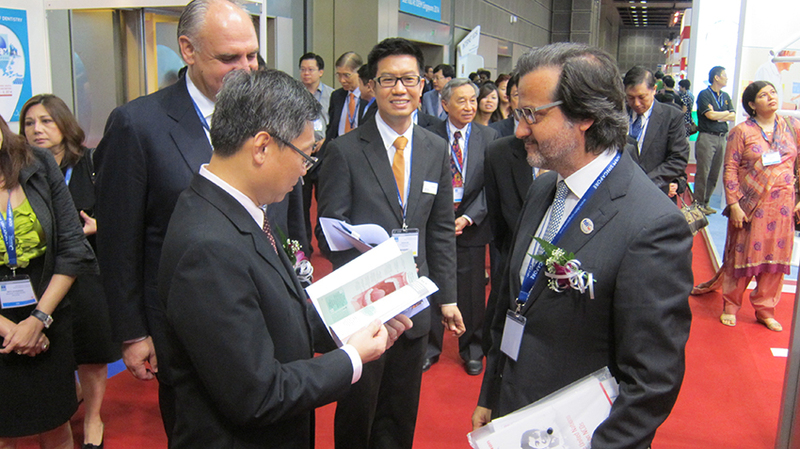 Giving an example of FDI publication Oral Health Atlas to Singapore Ministry of Health. 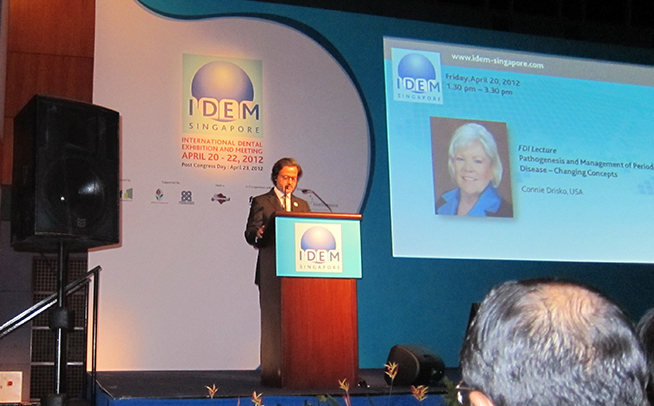 I was moderator of the "FDI Lecture: Pathogenesis and Management of Periodontal Disease – Changing Concepts" by Connie Drisko, from USA. 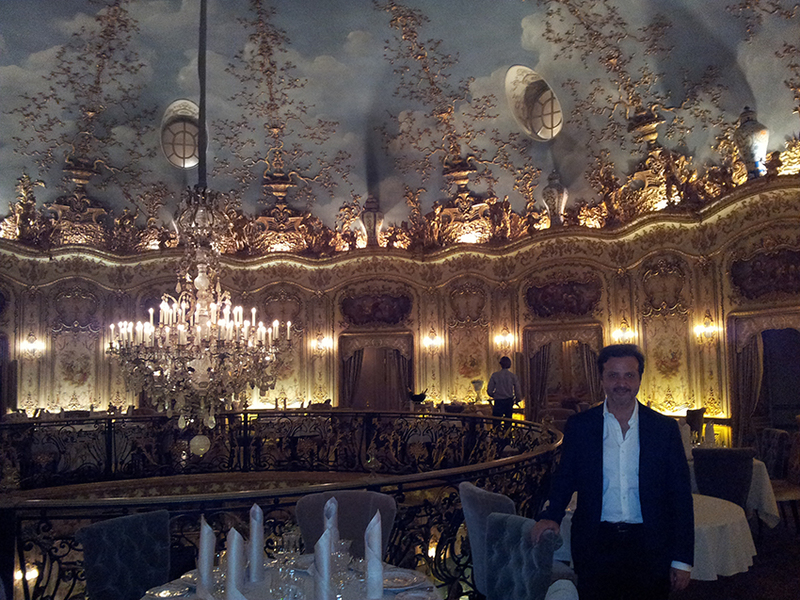 You are currently browsing the Orlando Monteiro da Silva blog archives for April, 2012.